I was in New York yesterday. We only had my phone or Bill's work laptop to log onto the internet. Blogger has terrible apps, Bill didn't want Blogger open on his laptop for obvious reasons so I had to write up a quick post in Safari. All that could be its own blog post discussing the need for Blogger to update its apps for older iphones. My phone isn't even that old. 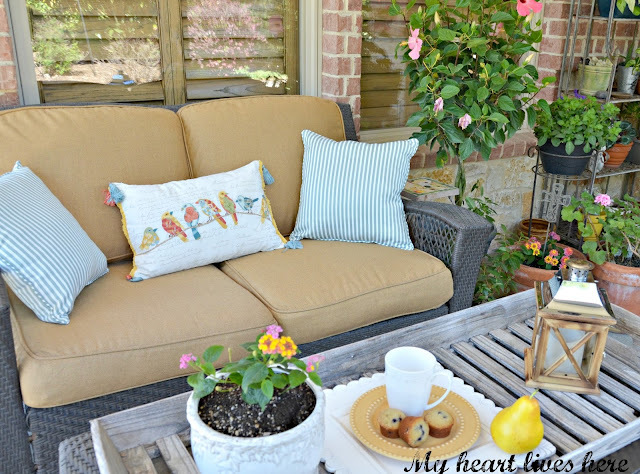 I was able to get the link up started but I didn't want to miss listing yesterday's features. Eilis from My Heart Lives Here picked our the features this week. 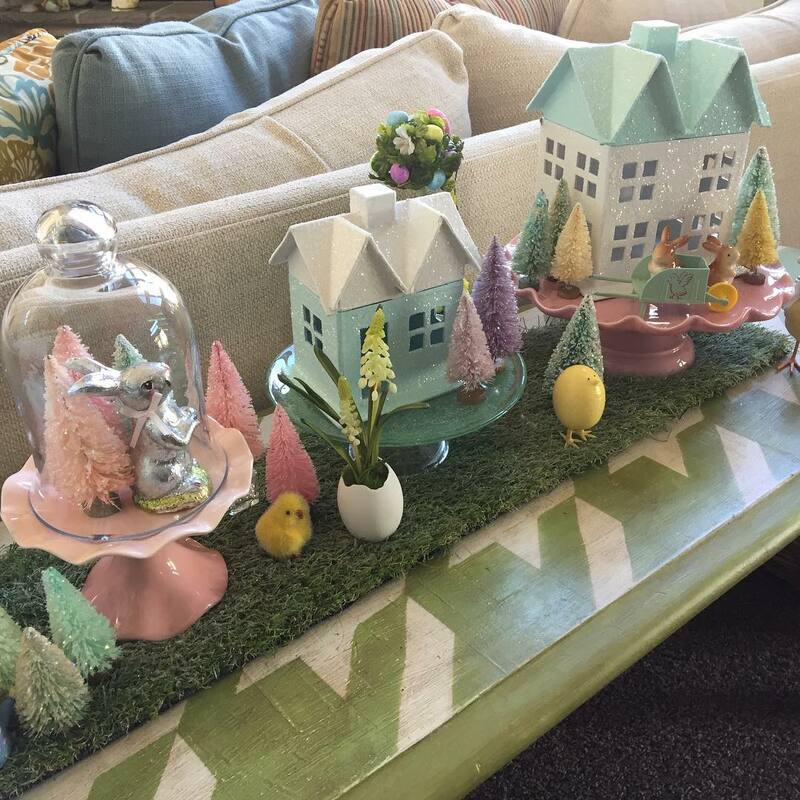 She shared her spring backyard. 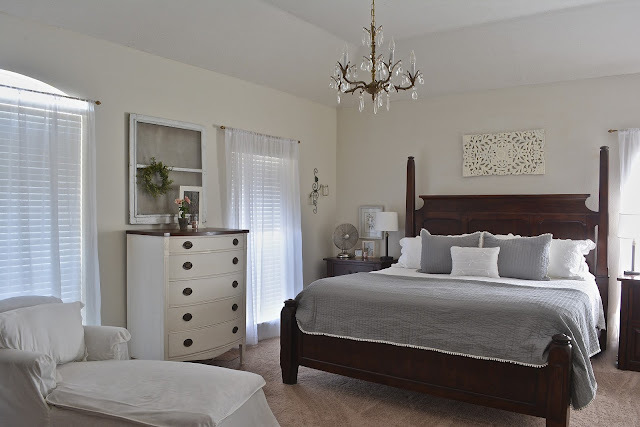 I shared our master bedroom. 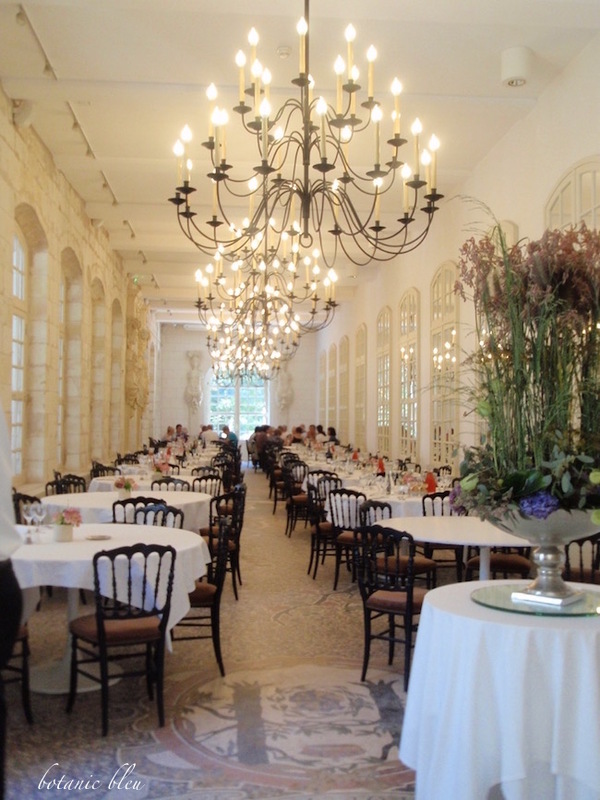 Judith at Botanic Bleu shared gorgeous French interior lighting. Here are the wonderful features that Eilis picked. 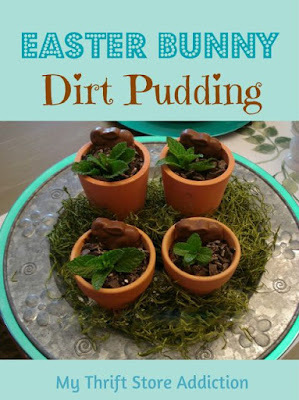 Cecilia: My Thrift Store Addiction shared Easter Bunny Dirt Pudding on her Is it spring yet? board. What a great way to help us find a great seasonal blog post from a couple of years ago. If you are not linking oldie but goodie Pins from your blog to Monday Social, you are missing out! Jann of Haveadailycup shared the adorable Easter Village she created with her craft group. Jann is one of my favorite people to follow on Instagram. Rustic and Vintage Props Galore. Be sure to check out all the stunning photos in this post. 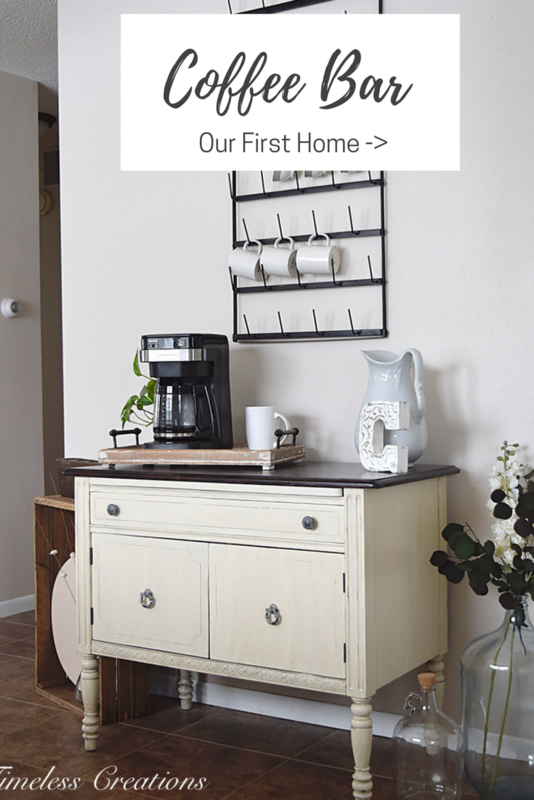 as a coffee bar in her new home. 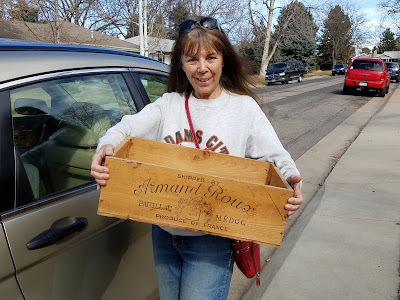 and lucky Pat at French Country Style shared her French Wine Crate Find. I want to go estate sale shopping with her! Eilis indicated she could have kept picking features that there were so many. You all are the best for understanding blogger problems. If you missed our spring blog tour last week go to this post. I will be back to tell you about our trip to New York and a blogger meet up. You're way better than me, for sure, I can NEVER get a post up on the blogger app!! Even if I see something I need to correct, it's so difficult to do with the app - frustrating! Great posts, going in for a look around now - thanks for visiting my blog, Kate!